NOTE: This is still iOS 5.0 Beta 4 Tethered jailbreak Solution. 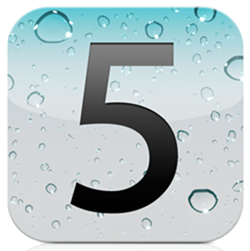 Shortly ago, iOS 5 Beta 4 was released to Apple developers. Those who have installed it are probably wondering how easy it will be to jailbreak the new system. It turns out you can do it the same way you’d do with all previous builds of iOS 5, using the just released version of Redsn0w. Redsn0w for iOS 5 has received a minor update to make it compatible with iOS 5 Beta 4. Redsn0w is fairly easy to install and use, since the program itself provides concise instructions on all the manual steps that need to be followed. While that may be true, it’s recommended that you have basic knowledge on basic iOS maintenance tasks, including restoring and entering DFU mode, in order to proceed. Also, remember that jailbreaking your device will void your warranty. You can follow the full tutorial here.